Did you know NADRA has a theme song? For those of you unable to make the trip to chicago – NADRA’s party at Howl at The Moon was a huge success. Members and guests piled in to recognize and honor our award winners for the National Deck Competition and the national Terry Award and Recognition awards. Congratulations to Keith Compton for being recognized for his many years of dedication to NADRA and the Atlanta Chapter! Glenn Mathewson was the recipient of our 2013 Terry Award for his ongoing efforts in code. Without the support of our Gold and Bronze sponsors events like this would not be possible. 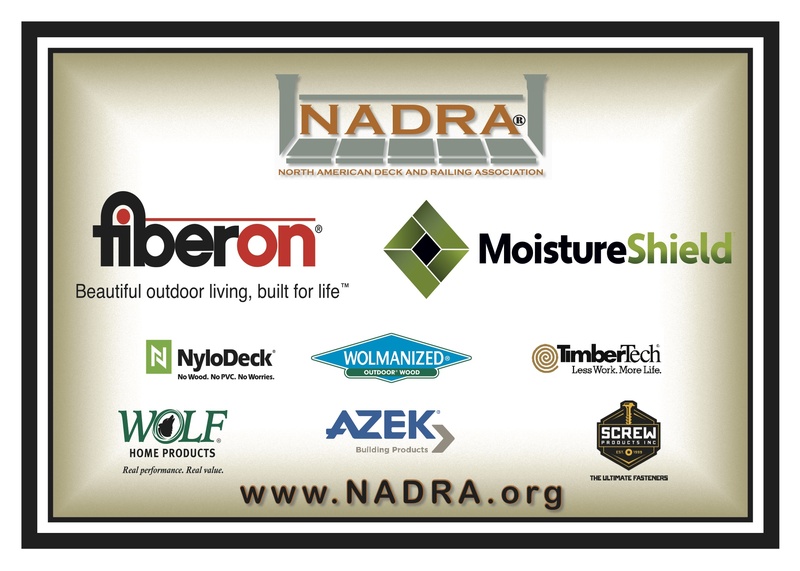 A special thank you to all those recognized: MoistureShield, Fiberon, Nyloboard, Wolmanized Outdoor Wood, TimberTech Azek, Wolf & Screw Products. Before the night was over, Howl at The Moon entertainers surprised NADRA guests with a custom song just for NADRA. Check it out: Na-na-na-na NADRA! Author NADRAPosted on October 23, 2013 Categories Ask NADRA, Atlanta Chapter, Deck For A Soldier, Deck Safety, Industry Brief, Industry News, NADRA News, Product Highlight, UncategorizedTags 2013 Awards Party, 2013 National Deck Competition, 2013 recognition Awards, Chicago, DeckExpo, DeckExpo 2013, Fiberon, Glenn Mathewson, Howl at the moon, Keith Compton, MoistureShield, NADRA, Nyloboard, Screw Products, Terry Award, TimberTech Azek, Wolf, Wolmanized Outdoor WoodLeave a comment on Did you know NADRA has a theme song? 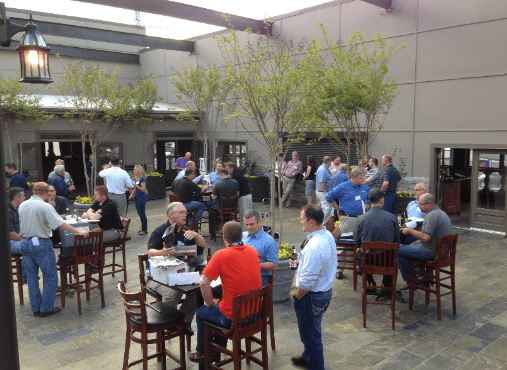 We tried something different with our second meeting of the year by hosting the first “Speed Dating with Deck Builders” event at the Ivy in Buckhead. We had over 51 attendees at the meeting which included several first time visitors. I want to thank the following Deck Builder members that agreed to be at the host tables: David Tibbetts, Atlanta Decking, John Harper and Joel Harper with Leisure Time Decks, O.C. & Mary Kirk with Just Decks, Rick Goldstein and Chapin LaChance with the Mosaic Group, Mike Reasons and John Lea with DeckSouth, Frank Pologruto with Decks & More, John Paulin with Tailor Decks, Bryan Miller with OutBack Decks, and Steve Matrangos & Craig Dickerson with DeckSource. Thanks you all so much for giving your time and giving this new idea a chance. We only have six meetings a year and this format opened up the opportunity for more of our great Vendors to get in front of the deck builder members. I would also like to thank the following Vendor members who bought “dates” for the event: Weyerhauser/ Cox, Tamko, Homeland Vinyl, Trex, Azek, Dixie Plywood, NyloBoard, MoistureShield, Fiberon and Universal Forest Products. We could not have a chapter without the ongoing support of so many members and I want to thank each of you for giving your resources to this meeting and to the chapter. We had an opportunity to take care of normal business and to discuss forming a local code committee made up of Rick Goldstein, Steve Matrangos and Craig Dickerson. Rick and Steve both spoke to the formation of the committee and invited all members to contact them with ideas and specific topics they may want to cover. We also spoke about the National initiative for Code’s and to remind everyone to fill out the survey that is online and to contact Glenn Mathewson with any information prior to his going to the ICC meeting. We were also able to give away a number of door prizes to the contractor members because of donations from Tamko, Weyerhauser, Cox , Fiberon, Universal Forest Products, and Fortress. 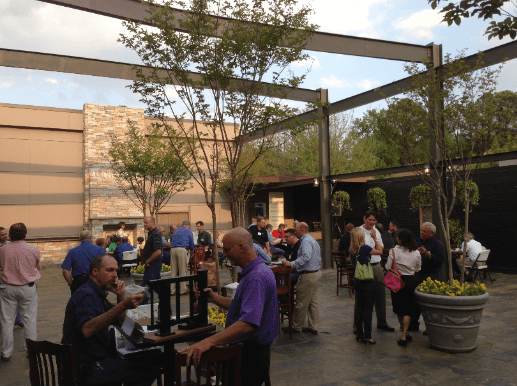 Our next meeting will be held on June the 18th at the Ivey in Buckhead. Our sponsor for the meeting is Fastenmaster and we are currently looking for a guest speaker so please let me know if you have any ideas. Thanks again for being a part of our Chapter and for all that each of you do to make us successful.